THE ROAD BOOK: WHEN TO GO? 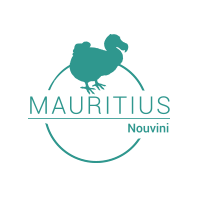 When to go to Mauritius? The Austral Summer: from April to November, the atmosphere is relatively hot and wet with temperatures on average between 27°C and 33°C. Consequently, the temperature of the ocean is also very considerable being able to reach 28°C, almost as your bath. The Austral Summer is an ideal period for travelers looking for warmth and idleness.It is as well the opportunity to hold the end-of-year celebrations in the sun; what could be more atypical than celebrating Christmas with feet in the sand? The Austral Winter: from May to October stand the coolest months with temperatures on average between 17°C and 25°C and the sea cools considerably. It is the ideal period for the ones prefering softer temperatures to explore the island. June, July and August are the ideal months for surfers. North and West coasts: it are generally the warmest regions of the island and the least wet. East and South coasts: these regions are more exposed to the wind, ideal in peiod of extreme heat during the Austral Summer for example. Nevertheless, it is wiser avoiding it during Austral Winter if you are sensitive to cold because swimming becomes more complicated with a lagoon at 20°C/22°C.